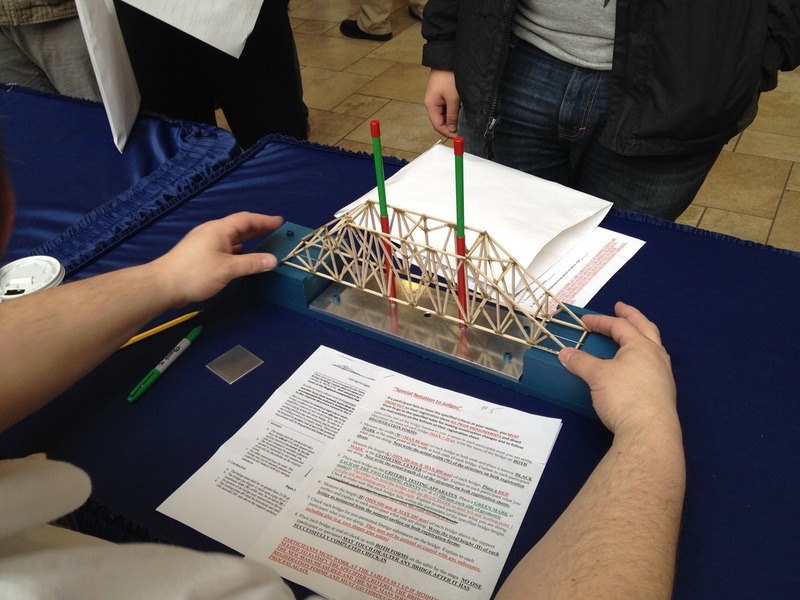 The 2019 Northeast Pennsylvania Regional Bridge Building Competition will be held on March 2, 2019, at The Viewmont Mall, Dickson City, PA. The 2019 Competition page contains instructions for school registration, student registration, and updated competition criteria. If you are interested in supporting our event, please contact us for information on sponsorship opportunities or simply do all your shopping thru our AmazonSmile link. A small percentage of your purchases is donated to us by Amazon at no cost to you. Do your part supporting this event and all STEM initiatives in your community. Thank you for you support! If you are interested in sponsoring your school or would like to participate in our event, be sure you are on our mailing list by completing the form below. If you already know you intend to participate, please fill in and submit our Intent to Participate form here. 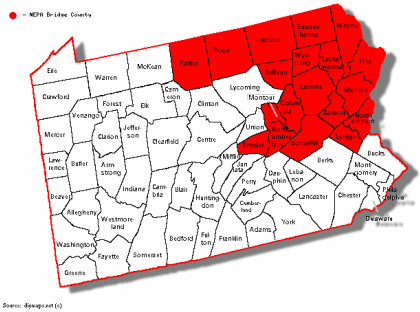 Select the county your school resides in. Our coverage area is shown in the map below. All public and private secondary schools (grades 9-12) within the counties bounded in red are eligible to contact the regional director to compete in the regional competition. Coverage area details here.